Preventative care is a dog’s first line of defense. Annual exams help by preventing, diagnosing and treating disease in its early stages, often before any noticeable symptoms begin. The earlier treatment starts, the more effective it is, keeping your pet from unnecessary pain and suffering. Annual Veterinary Exams: South Broward Animal Hospital’s comprehensive annual exams evaluate temperature, skin and coat, ear and hearing acuity, lung and chest, internal health, oral hygiene, eye and visual responsiveness. Vaccinations: Updated vaccinations and booster vaccines are a highly effective way to prevent many common diseases and infections like distemper, rabies and parvo. Dental Care: Oral health is an important part of your pet’s life; annual teeth cleanings are the best method to maintain and improve dental wellbeing. Parasite Control: prevention and eradication is a simple and efficient process when anti-parasitic medication is used regularly. Proper Nutrition: Proper nutrition supports all of your pet’s bodily processes, bolstering their immune system and ensuring normal development. Behavioral Evaluation: Changes in mood or behavior are often symptoms of underlying medical conditions, identifying these shifts help to identify and treat the root cause. Exercise: Regular workouts support skeletomuscular and cardiovascular health in dogs of all ages. Preventative care becomes more significant for aging dogs, South Broward Animal Hospital recommends increasing exams to twice a year for elderly animals. 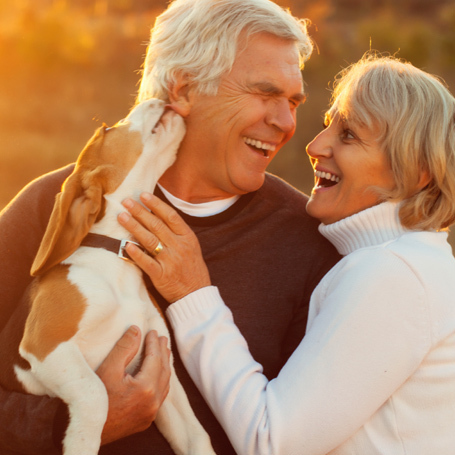 As pets get older they are prone to many age-related diseases that are increasingly difficult to diagnose and treat. Many preventive health measures must be adjusted to better suit the medical needs of senior animals.